Coming all the way from the heat of Australia made the transition to the Arizona Summer more bearable then what it might be coming from somewhere colder. I noticed the heat increase, but it never really bothered me and wasn’t belong before I became use to the fluctuations. As a Digital Video student, my favorite thing about the constant weather means that you never have to worry about surprise rain during shooting. However, you do have to be aware of the keeping your fluids up and keep equipment cool during the hotter days. The heat and landscape can also be used as a backdrop to projects that I never thought I would have the chance to make. I got the opportunity to shoot western styled Violent Femmes music video starring Professor Craig Belanger and a short film directed by Professor Paul DeNigris that was set in the Middle East. This is not to mention that ability to shoot at nighttime without the cold to limit your scheduling. Arizona also provides a wide range of backdrops for film-making, photography and any other visual arts. If you want forest, you can head to Payson. If you want desert, head out to Casa Grande. 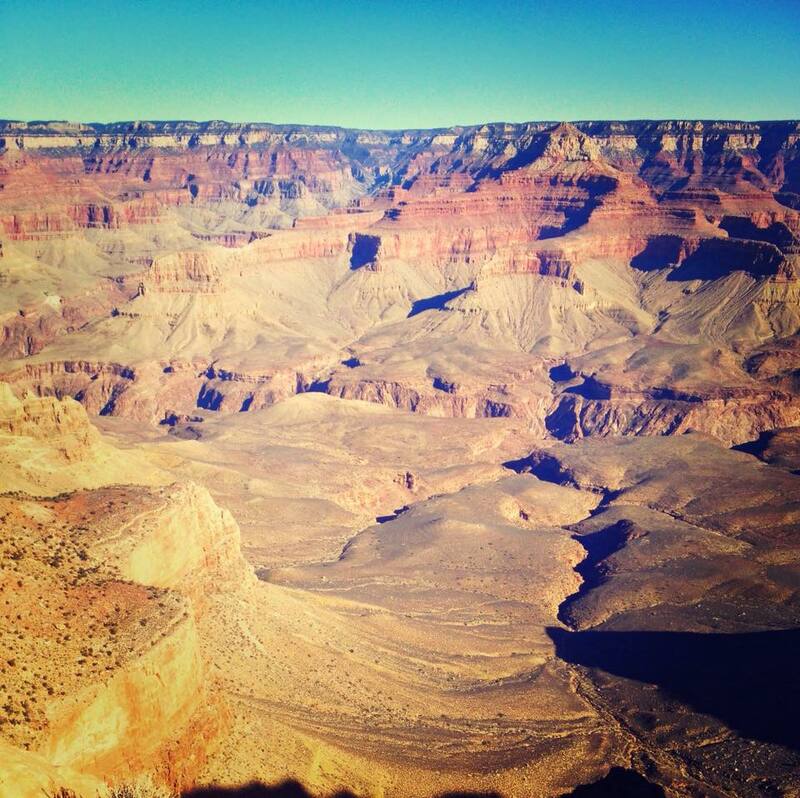 If you want beautiful rock formations, head to Sedona and if you want a large hole, head to the Grand Canyon. All of these places differ in visuals and atmosphere that provide an escape if you become acclimatized to your current location. I was stunned when I first flew into Phoenix and saw a city surrounded by mountains and desert. I felt like I was living a real life Sergio Leone spaghetti western. When I Mum came to visited she loved the consistency of the dessert tones and inclusion of art throughout the city. Not to mention being able to drive 10 minutes to a botanic garden or a rock formation. I’ve had the chance to visit every state in Australia and lived in some of the most humid environments. The biggest pleasure about the Arizona climate is that the heat is indeed hot, but it is dry and that makes it comfortable.